About the author: For lovers of Russian culture, folklore, and history, Kotar’s work is a treasure. The grandson of White Russian immigrants, the 34-year-old is an author of epic fantasy novels inspired by Russian fairy tales. You can see his four books here on Amazon. He is also a deacon of the Russian Orthodox Church, a professional translator, and choir director at the Holy Trinity Monastery in Jordanville, NY, where he lives. 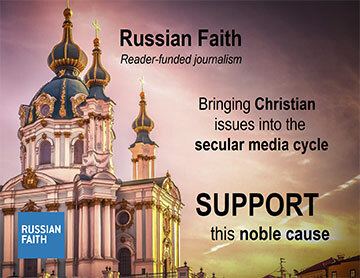 Here is his bio from his blog, where he writes about many aspects of Russia. We highly recommend following it and subscribing to his email list to get exclusive material. He has an excellent Pinterest page, and you can follow him on Facebook. Here is an archive of his work published on Russia Insider. This week is my third novel’s birthday. It’s been a long process to get it into print, and the many rewrites and adjustments are testament to it being a real labor of love. I don’t dare clause myself with the likes of Dostoyevsky, but when I read about his long hours, his many rough drafts, or his incredible notebooks that served as “idea dumping grounds,” I can’t help but feel that I understand at least some of what he did. I am so bold, however, to suggest that in one respect Dostoyevsky and I do have something in common. A longsuffering, patient wife who appreciates the difficulties of writing and who does everything in her power to accommodate an often fraction and difficult writer-husband. My wife Nastia’s story is still being written and will doubtless make for riveting reading someday. But Anna Dostoyevskaya’s story is complete, and it’s a fascinating one. 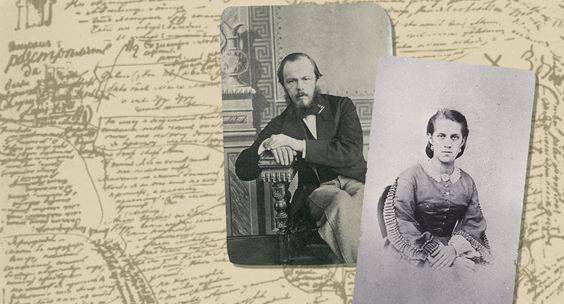 This week’s post is part one of a series on what it was like to be the wife of Dostoyevsky, one of the most brilliant, and yet most complicated, personalities of the 19th century. The original post appeared in the Russian magazine Foma. Fyodor Mikhailovich always admitted that their “souls grew together.” But at the same time, he said that the age inequality—there was almost a quarter century of difference between them—and the inequality of their life experience could have led to a very different result. Judging by the fact that Fyodor Mikhailvich wrote this in his 12th year of marriage, with astonishment and admiration that he was still madly in love with his Anya, their life did indeed turn out to be very happy. But it was never easy, even from the very beginning. The marriage of Anna Grigorievna and Fyodor Mikhailovich passed the tests of poverty, illness, and infant death. It didn’t help that all of Dostoevsky’s relatives were against the marriage. Perhaps what helped them hold on to each other throughout all trials was, among other things, the fact that the couple “looked in the same direction.” After all, they had been brought up with the same faith and outlook on life. Anna Grigoryevna was born on August 30, 1846 in the family of an inconsequential official named Grigory Ivanovich Snitkin. Grigory Ivanovich and his family, along with his elderly mother and four brothers (one of whom was also married and had children) lived in a large apartment of 11 rooms. Anna Grigoryevna often recalled that a friendly atmosphere always reigned in their large family. In it, there was no room for quarreling or airing of grievances among the relatives. And so Anna assumed all families were like this. Her mother (Anna Nikolaevna Snitkina Miltopeus) was a Swede of Finnish origin and a Lutheran by faith. When she met her future husband, she was faced with a difficult choice: either marry the one she loved or remain loyal to the Lutheran faith. She prayed incessantly for guidance in resolving this dilemma. One day, she saw a dream. In it, she saw herself entering an Orthodox church, kneeling in front of the holy shroud and praying there. Anna Nikolaevna took this as a sign and agreed to accept Orthodoxy. From that moment on, Anna Nikolaevna Snitkina lived an intense spiritual life in the church, confessing and communing often. From a young age, her daughter Netochka (Dostoevsky’s future wife) had a spiritual father named Father Philip Speransky. When Anya was 13 years old, during a vacation in Pskov, she decided to leave the world and go into a monastery. Her parents managed to get her back to St. Petersburg, but they had to trick her by lying that her father was gravely ill.
His father, Mikhail Andreevich, was a doctor in the Mariinsky Hospital for the Poor, so the fates of those whom the writer would later made the heroes of his famous novels unfolded before his eyes. The young Dostoevsky learned compassion from his earliest years, both from his environment and his father, even though the latter was a complicated character with a fiery temperament, an odd mix of generosity and gloominess. It was that same kind, sensitive, compassionate heart that Dostoevsky recognized in Anya Snitkina… He felt: “with me, she can be happy.” The emphasis is telling: she can be happy, not I. Did Dostoyevsky not think about his own happiness? Of course, like any other man, he did. He spoke to his friends, voicing a hope that after all the hardships of a difficult youth, he would finally find some peace. Even as an “old man,” he still had hope that he could find happiness in building his own family. “Happiness has not yet happened. I am still waiting,” he said, a person who had already tired of life. As it so often happens, the moment of the decisive meeting came at unexpected time, a time of tragic, crucial events in the fates of both people concerned. In the spring of 1866, after a long illness, Anna’s father died. His sickness forced Anna to quit her studies in the Pedagogical Gymnasium, so that she could spend more time with her father as he died. In the beginning of 1866, a course in stenography was offered in St. Petersburg. It was an opportunity for Anna both to study and to care for her father. In fact, he insisted she take the courses. However, after 5-6 lectures she came home in despair: the unintelligible language of stenography didn’t come easily to her. Grigory Ivanovich was indignant at his daughter’s lack of patience and perseverance and forced her to give him her word the she would finish the courses. If only he knew how fateful this promise will be! In next week’s post, you’ll find out how these courses ended up as fateful not only for her personal happiness, but for Dostoyevsky’s career as well. If you enjoyed this post, and would like to learn more about Russian history and traditions, be sure to sign up for my Readers’ Group. You’ll be the first to know about my novels’ release dates, giveaways, and contests. As a special thank you, I’ll send you a preview of my new novel as well as a few other free gifts. Just tell me where to send them.